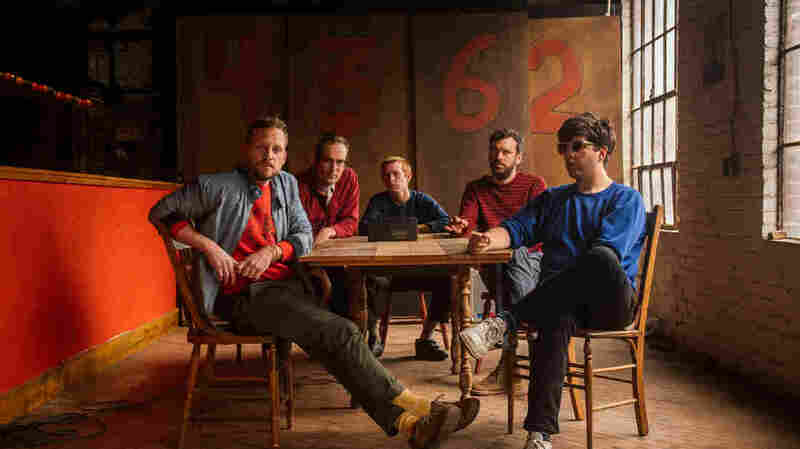 A Revitalized Dr. Dog Is 'Listening In,' Desperately For its new album, Critical Equation, the Philly rock band "needed to blow it up" and confront its fears and obstacles head on with a darker sound. Dr. Dog's Critical Equation comes out April 27. This means going dark, without providing the sense of relief you might have in the past. This means subverting people's expectations for your subverted expectations. "Listening In," from Critical Equation, seems to say that the only way around paranoia, anxiety — around roadblocks — is to confront your fears and obstacles head on, to listen closely and decide your next move. In the past, McMicken's most upbeat, ebullient-sounding tunes, the ones with big singalong choruses and radiant major chords are often about fear of death, deep despondency, and loneliness. Meanwhile his love songs can come across as sonically unhinged, tense and frenzied as chords race up the fretboard and voices run short on breath. The transformative power of music has been an ongoing interest of McMicken and his bandmates in Dr. Dog – taking a desperate situation and flipping into a thing of joy. But sometimes, desperate situations are simply that. That's exactly how "Listening In" sounds. The song, which opens Critical Equation, sneaks and creeps to a bobbing minor-key melody from bassist Toby Leaman, a slow kick-snare beat from drummer Eric Slick, and an anxious guitar chord progression by Frank McElroy. McMicken enters on barely a whisper, singing of hearing voices from pets and voices from the night sky. His nerves seem frayed, but he isn't quite ready to admit why. His bandmates answer that tension with appropriate sonic flourishes. When McMicken sings, "I can hear the animals talkin'," an accent of keyboard notes float in the air care of Zach Miller; on the line "I can hear electric light talkin'," synth tones from producer Gus Seyffert bend into the static of a generator losing power as the singer's voice drifts away in echo. It's the moment of realization just before emotional trauma hits home; it's a sadness so profound that it can't be spun into a lighthearted song. Is the "you" a romantic partner? A family member or friend? Perhaps a group of friends, with whom one has been creatively intertwined for the majority of their adult lives? Critical Equation is out on April 27, via Thirty Tigers.